SAN MATEO, Calif. – June 4, 2014 – Neo Technology, creators of Neo4j, the world’s leading graph database, today announced that healthcare companies around the globe have turned to Neo4j to enable new opportunities and efficiencies by using the power of the graph database to leverage the connections inside their data. 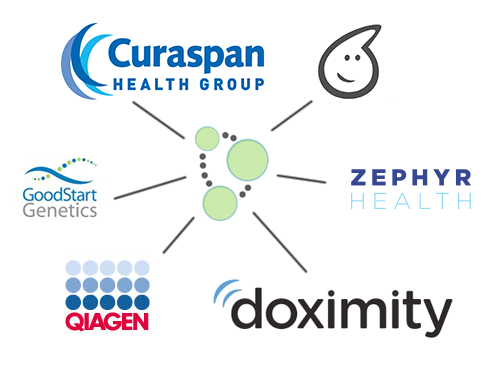 Companies such as HealthUnlocked, Doximity, Zephyr Health, Curaspan Health Group, GoodStart Genetics, SharePractice, Janssen Pharmaceuticals, Inc, and Qiagen have made dramatic advances in areas ranging from patient management to drug research, clinical trials to genomics, and marketing to provider interactions. From telco and financial services, to logistics and hospitality, to healthcare and energy, almost every type of business today is embracing graph databases. The healthcare sector is the latest in a flurry of industries to join the ‘graph revolution.’ With Neo4j, healthcare organizations can take advantage of decades of usable, searchable and actionable data and use it to deliver important information to help researchers, caregivers, pharmaceutical companies, hospitals–and ultimately, patients. HealthUnlocked, the largest and fastest-growing social network for health in Europe with over three million monthly users, leverages Neo4j to provide a platform that tracks patient care experiences in a knowledge database. HealthUnlocked launched a new platform with a Health Graph based on Neo4j, which enabled the platform to take millions of freetext terms and relate them to the applicable health sphere along with symptoms and conditions, combining the social, treatment and provider graphs. Today, HealthUnlocked is able to make sense of their rapidly growing data set, and use it to help users find treatments and assistance. GoodStart Genetics, founded in 2008 by Harvard Business School and Harvard Medical School graduates, is a clinical diagnostics company specializing in genetic carrier screening for inherited diseases. GoodStart’s clinical data is split across several operational databases that are not structured for discovery. The company needed an easy query mechanism for scientists who are not data scientists. Because much in the bioinformatics realm remains unknown, having to specify a schema ahead of time can be impossible. The company built a new R&D database powered by Neo4j to support information discovery by scientists, allowing simple Cypher queries to be constructed ad hoc. With Neo4j, the time to answer new questions went from days of ad-hoc information gathering to only hours or minutes. 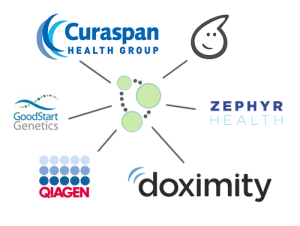 Zephyr Health, a fast-growing big data analytics platform for companies in the life sciences industry, is using Neo4j to power its high-speed, scalable platform that turns data into actionable information. Neo4j enables Zephyr Health users to be ‘their own data scientist’ with the ability to discover new connections between data from disparate sources with a graph database that can rapidly adapt to a changing business. Doximity is the professional network for U.S. physicians. Launched in March 2011, the company has a membership of over 300,000 verified physicians, and is one of the top five most-used medical apps in the country. — Brian Roy, director of platform engineering and architecture, Zephyr Health. Graphs are everywhere. From websites adding social capabilities to Telcos providing personalized customer services, to innovative bioinformatics research, organizations are adopting graph databases as the best way to model and query connected data. Neo Technology researchers pioneered the first graph database back in 2000, and have been instrumental in bringing the power of the graph to numerous organizations worldwide, including more than 40 Global 2000 customers, such as Cisco, Accenture, Telenor, eBay and Walmart. Serving customers in production for over a decade, Neo4j is the world’s leading graph database with the largest ecosystem of partners and tens of thousands of successful deployments. According to DB-Engines, Neo4j dominates the fastest growing category in all data management. Neo Technology is a privately held company funded by Fidelity Growth Partners Europe, Sunstone Capital and Conor Venture Partners, and is headquartered in San Mateo, CA, with offices in Sweden, UK, Germany, France, and Malaysia. For more information, please visit www.neotechnology.com.